London (AFP) – Britain’s Prince William will hold talks with Israeli Prime Minister Benjamin Netanyahu and Palestinian president Mahmud Abbas during a visit to the Middle East on which he will also meet Syrian refugees, his spokesman said Monday. 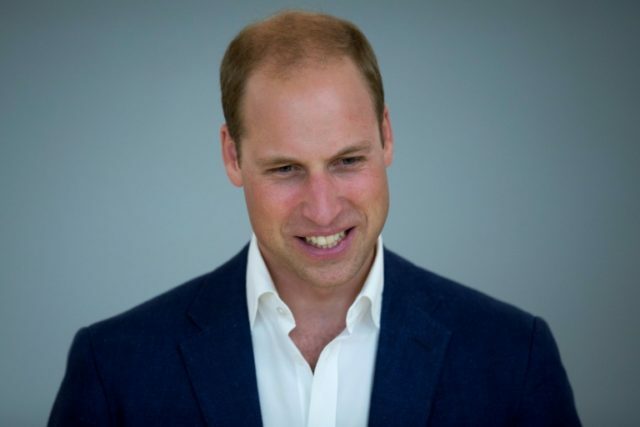 The Duke of Cambridge is the first royal to make an official visit to Israel and the Palestinian territories on behalf of the British government, on a tour from June 24 to 28 that starts in Jordan. In Jordan, William, second in line to the throne, will meet young Syrian refugees and stay at the private residence of King Abdullah II. However, there are no current plans to meet the sovereign and Queen Rania as the focus of the Jordan leg is on building relations with 23-year-old Crown Prince Hussein bin Abdullah. In Israel, he will visit the Yad Vashem Holocaust memorial and lay a wreath on June 26. He will then sit down for talks with Netanyahu and meet President Reuven Rivlin at his residence. He will meet Abbas at his Ramallah office on June 27 and meet refugees, young Palestinians and “celebrate Palestinian culture, music and food”, his spokesman Jason Knauf told reporters at a briefing in Buckingham Palace. On the final day, in Jerusalem, he will also visit the Mount of Olives and the tomb of his great-grandmother princess Alice, the mother of Queen Elizabeth II’s husband Prince Philip. “The duke is looking forward to building a real and enduring relationship with the people of the region,” Knauf said. “He is pleased that his programme will allow him to meet a number of people from his own generation and young Jordanians, Israelis, and Palestinians. A royal visit has been discussed for several years but it has now been decided that the time is right and William should go, said Knauf. The visit is not linked to the 70th anniversary of Israel’s founding being marked this year. The 10-strong tour party does not include any government ministers. William’s wife Kate is not accompanying him on the trip as she is not undertaking overseas travel so soon after the birth of the couple’s third child Prince Louis on April 23.